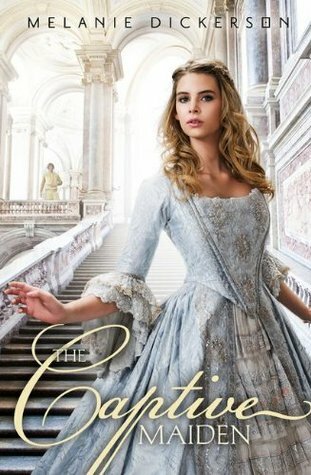 The Captive Maiden is the fourth book in the Hagenheim series by Melanie Dickerson. This book reminded me of the movie Ever After quite a bit. Which makes sense, since it's a retelling of Cinderella. I loved the jousting scenes and the fact that horses were a big part of the main character's lives. Gisela plays damsel in distress well, but she also holds her own. Valten gets his fairy tale story. Yay! I loved getting to know him. 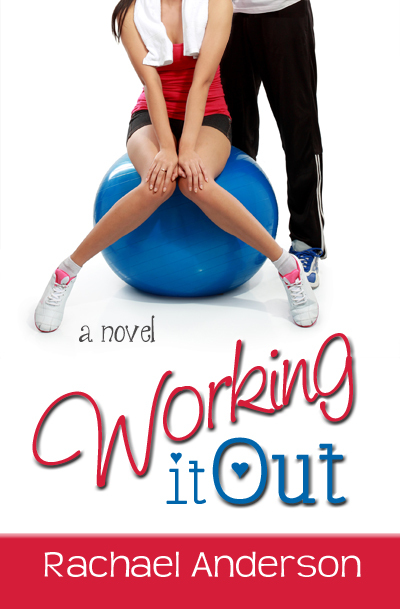 There was action and cuteness, and the two blended well together within this this story. When she was still seven, and before her father died, the Duke of Hagenheim and his oldest son, Valten, had come to buy a horse from her father, because, as Father said, he bred and raised the best horses in the region. Valten wanted a war horse, a destrier that would serve him as he practiced jousting and other war games. The two of them, Duke Wilhelm and his son, rode up the lane to her house. Duke Wilhelm and her father greeted each other like old friends. The duke’s son was fourteen, and Gisela had been seven. Valten was already quite as tall as her father and broad-shouldered. She remembered his hair was blond, and he’d looked at her with keen eyes and a sober expression. Within the first moments, she decided she did not like him. He had come to take one of her horses away, and worst of all, this boy meant to ride her horse in the lists. She didn’t want one of her horses competing in the dangerous joust, risking serious injuries with each charge. But the boy and his father treated the horses gently and respectfully. From several feet away she had watched as they examined all the youngest destriers. By the time the duke’s son made his choice, Gisela realized he would love the horse, would take care of him. The horse would have many adventures with the duke’s son, more than Gisela could give him. 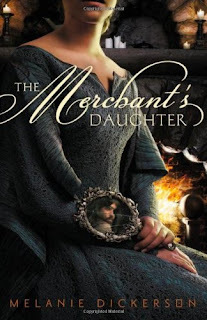 As their fathers settled their price, Gisela watched Valten — she was supposed to call him Lord Hamlin, as he was the Earl of Hamlin, but she thought his given name suited him better — as the young earl rubbed the horse’s nose and cheek and talked softly to him. Have you read other books in this series? To learn more about Melanie Dickerson and her books, visit her website.You can also find her on Goodreads, Facebook, Google+, Pinterest, Instagram, and Twitter. 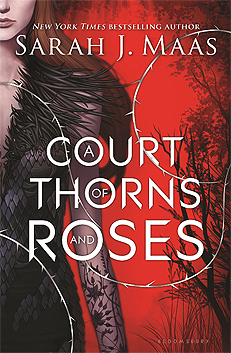 A Court of Thorns and Roses is the first book in the A Court of Thorns and Roses series by Sarah J. Maas. I kept hearing how great this book was, and I finally read it! The one thing I didn't hear was that it was a dark, fairy retelling of Beauty and the Beast, so that made me like it all the more. The characters were fantastic. I'm seriously a fan of all of them. They each brought something different to the story. Feyre is a strong and intelligent female lead. I could easily see this turning into a love triangle, and I'm okay with that in this case.. I think. I'm at least open to the idea, because the more I got to know the characters involved, the more I liked them. These characters aren't simple. They have a lot of depth. The story isn't simple either. There is so much going on that kept my attention, both on the surface and behind the scenes. I truly can't say enough good things about it. It was well thought out from start to finish. I'd been monitoring the parameters of the thicket for an hour, and my vantage point in the crook of a tree branch had turned useless. The gusting wind blew thick flurries to sweep away my tracks, but buried along with them any signs of potential quarry. Hunger had brought me farther from home than I usually risked, but winter was the hard time. The animals had pulled in, going deeper into the woods than I could follow, leaving me to pick off stragglers one by one, praying they'd last until spring. They hadn't. I wiped my numb fingers over my eyes, brushing away the flakes clinging to my lashes. Here there were no telltale trees stripped of bark to mark the deer's passing—they hadn't yet moved on. They would remain until the bark ran out, then travel north past the wolves' territory and perhaps into the faerie lands of Prythian—where no mortals would dare go, not unless they had a death wish. A shudder skittered down my spine at the thought, and I shoved it away, focusing on my surroundings, on the task ahead. That was all I could do, all I'd been able to do for years: focus on surviving the week, the day, the hour ahead. And now, with the snow, I'd be lucky to spot anything—especially from my position up in the tree, scarcely able to see fifteen feet ahead. Stifling a groan as my stiff limbs protested at the movement, I unstrung my bow before easing off the tree. Only a few hours of daylight remained. If I didn't leave soon, I'd have to navigate my way home in the dark, and the warnings of the town hunters still rang fresh in my mind: giant wolves were on the prowl, and in numbers. Not to mention whispers of strange folk spotted in the area, tall and eerie and deadly. Anything but faeries, the hunters had beseeched our long-forgotten gods—and I had secretly prayed alongside them. In the eight years we'd been living in our village, two days' journey from the immortal border of Prythian, we'd been spared an attack—though traveling peddlers sometimes brought stories of distant border towns left in splinters and bones and ashes. These accounts, once rare enough to be dismissed by the village elders as hearsay, had in recent months become commonplace whisperings on every market day. I had risked much in coming so far into the forest, but we'd finished our last loaf of bread yesterday, and the remainder of our dried meat the day before. Still, I would have rather spent another night with a hungry belly than found myself satisfying the appetite of a wolf. Or a faerie. Not that there was much of me to feast on. I'd turned gangly by this time of the year, and could count a good number of my ribs. Moving as nimbly and quietly as I could between the trees, I pushed a hand against my hollow and aching stomach. I knew the expression that would be on my two elder sisters' faces when I returned to our cottage empty-handed yet again. I sighed through my nose, digging the tip of my bow into the ground, and leaned my forehead against the crude curve of wood. We wouldn't last another week without food. And too many families had already started begging for me to hope for handouts from the wealthier townsfolk. I'd witnessed firsthand exactly how far their charity went. Once it had been second nature to savor the contrast of new grass against dark, tilled soil, or an amethyst brooch nestled in folds of emerald silk; once I'd dreamed and breathed and thought in color and light and shape. Sometimes I would even indulge in envisioning a day when my sisters were married and it was only me and Father, with enough food to go around, enough money to buy some paint, and enough time to put those colors and shapes down on paper or canvas or the cottage walls. Not likely to happen anytime soon—perhaps ever. So I was left with moments like this, admiring the glint of pale winter light on snow. I couldn't remember the last time I'd done it—bothered to notice anything lovely or interesting. Stolen hours in a decrepit barn with Isaac Hale didn't count; those times were hungry and empty and sometimes cruel, but never lovely. The howling wind calmed into a soft sighing. The snow fell lazily now, in big, fat clumps that gathered along every nook and bump of the trees. Mesmerizing—the lethal, gentle beauty of the snow. I'd soon have to return to the muddy, frozen roads of the village, to the cramped heat of our cottage. Some small, fragmented part of me recoiled at the thought. I could dry half the meat, and we could immediately eat the rest—stews, pies...Her skin could be sold, or perhaps turned into clothing for one of us. I needed new boots, but Elain needed a new cloak, and Nesta was prone to crave anything someone else possessed. He was enormous—the size of a pony—and though I'd been warned about their presence, my mouth turned bone-dry. Yet maybe...maybe it would be a favor to the world, to my village, to myself, to kill him while I remained undetected. Putting an arrow through his eye would be no burden. But despite his size, he looked like a wolf, moved like a wolf. Animal, I reassured myself. Just an animal. I didn't let myself consider the alternative—not when I needed my head clear, my breathing steady. I had a hunting knife and three arrows. The first two were ordinary arrows—simple and efficient, and likely no more than bee stings to a wolf that size. But the third arrow, the longest and heaviest one, I'd bought from a traveling peddler during a summer when we'd had enough coppers for extra luxuries. An arrow carved from mountain ash, armed with an iron head. From songs sung to us as lullabies over our cradles, we all knew from infancy that faeries hated iron. But it was the ash wood that made their immortal, healing magic falter long enough for a human to make a killing blow. Or so legend and rumor claimed. The only proof we had of the ash's effectiveness was its sheer rarity. I'd seen drawings of the trees, but never one with my own eyes—not after the High Fae had burned them all long ago. So few remained, most of them small and sickly and hidden by the nobility within high-walled groves. I'd spent weeks after my purchase debating whether that overpriced bit of wood had been a waste of money, or a fake, and for three years, the ash arrow had sat unused in my quiver. I gripped my bow and drew the string farther back. I was a decent shot, but I'd never faced a wolf. I'd thought it made me lucky—even blessed. But now...I didn't know where to hit or how fast they moved. I couldn't afford to miss. Not when I had only one ash arrow. And if it was indeed a faerie's heart pounding under that fur, then good riddance. Good riddance, after all their kind had done to us. I wouldn't risk this one later creeping into our village to slaughter and maim and torment. Let him die here and now. I'd be glad to end him. The wolf crept closer, and a twig snapped beneath one of his paws—each bigger than my hand. The doe went rigid. She glanced to either side, ears straining toward the gray sky. With the wolf's downwind position, she couldn't see or smell him. If I judged wrongly, my life wasn't the only one that would be lost. But my life had been reduced to nothing but risks these past eight years that I'd been hunting in the woods, and I'd picked correctly most of the time. Most of the time. The wolf shot from the brush in a flash of gray and white and black, his yellow fangs gleaming. He was even more gargantuan in the open, a marvel of muscle and speed and brute strength. The doe didn't stand a chance. The arrow found its mark in his side, and I could have sworn the ground itself shuddered. He barked in pain, releasing the doe's neck as his blood sprayed on the snow—so ruby bright. He didn't try to dodge the arrow as it went clean through his wide yellow eye. But wolf or faerie, it didn't matter. Not with that ash arrow buried in his side. He'd be dead soon enough. Still, my hands shook as I brushed off snow and edged closer, still keeping a good distance. Blood gushed from the wounds I'd given him, staining the snow crimson. He pawed at the ground, his breathing already slowing. Was he in much pain, or was his whimper just his attempt to shove death away? I wasn't sure I wanted to know. Though it wasted precious minutes—minutes during which any predator could smell the fresh blood—I skinned him and cleaned my arrows as best I could. If anything, it warmed my hands. I wrapped the bloody side of his pelt around the doe's death-wound before I hoisted her across my shoulders. It was several miles back to our cottage, and I didn't need a trail of blood leading every animal with fangs and claws straight to me. 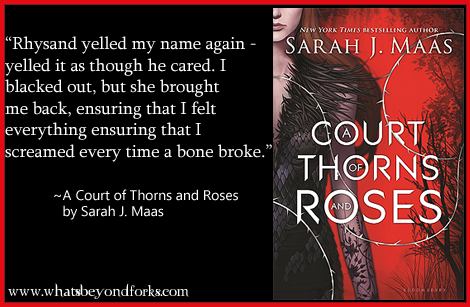 To learn more about Sarah J. Maas and her books, visit her website.You can also find her on Goodreads, Instagram, Pinterest, and Tumblr. 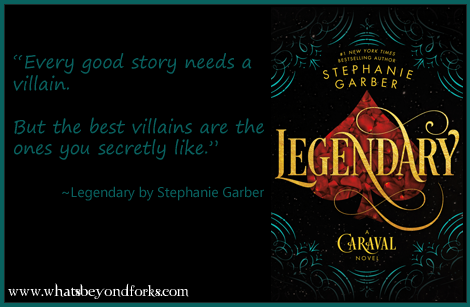 Legendary is the second book in the Caraval trilogy by Stephanie Garber. This time we get Tella's point of view. I was expecting Scarlet, so it took me a minute to adjust, but I enjoyed Tella just as much. 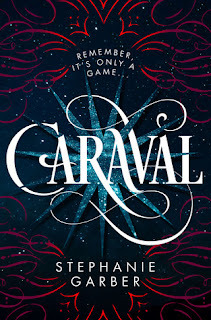 Caraval is different this time. It maybe more than a game.. or is it? I'm not saying. Quite honestly, I'm still not sure! I'm not sure about many things actually. Like, I always thought "one true love" meant you're supposed to.. you know... love the person. Isn't it? Scarlet behaved out of character too. Was she playing the game? I didn't expect certain behaviors from her, and there are so many things I have to say about Legend! But, I cant. They would include spoilers. So, basically, the only thing you can expect from this trilogy so far is for something unexpected to happen or be revealed. Sometimes, I knew what was coming, but there were definitely some unexpected moments. I really need the next book to be released now. I need my questions answered! Violet City by Mansionair (confession—I didn’t hear this song until after I finished the book, but I thought it totally fit the scene where Tella first rode in a carriage above Valenda. 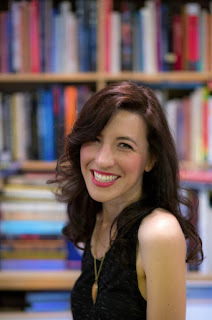 To learn more about Stephanie Garber and her books, visit her website.You can also find her on Goodreads, Facebook, Instagram, Pinterest, and Twitter. 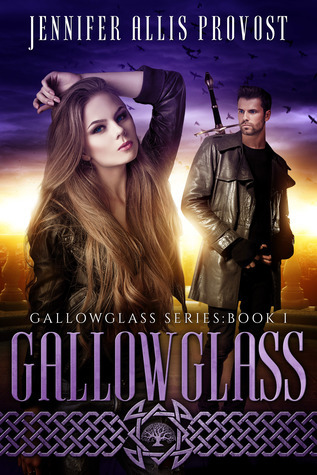 Gallowglass is the first book in the Gallowglass series by Jennifer Allis Provost. This story had cute moments, naughty moments, and action moments. It also had quite a bit of down time, and it was hard to stay focused during some of Rina's research ventures. I would have liked something more to happen during those times to hold my attention better. I loved the setting though. Scotland and fae are a definite draw for me. I enjoyed the cute attraction between Robert and Rina. They were pretty adorable and had some steamy moments. I actually thought it read more like a young adult novel until it got to those naughty bits. 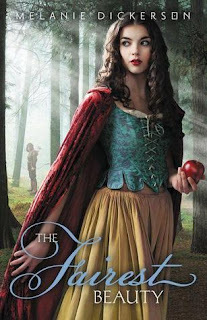 Gallowglass by Jennifer Allis Provost was kindly provided to me by Bewitching Book Tours for review. The opinions are my own. 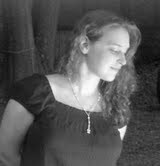 Jennifer Allis Provost writes books about faeries, orcs and elves. Zombies too. She grew up in the wilds of Western Massachusetts and had read every book in the local library by age twelve. (It was a small library). An early love of mythology and folklore led to her epic fantasy series, The Chronicles of Parthalan and her day job as a cubicle monkey helped shape her urban fantasy, Copper Girl. When she’s not writing about things that go bump in the night (and sometimes during the day) she’s working on her MFA in Creative Nonfiction. 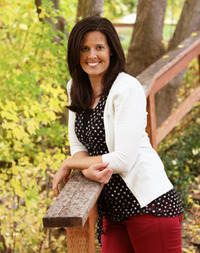 To learn more about Jennifer Allis Provost and her books, visit her website.You can also find her on Goodreads, Facebook, and Twitter. 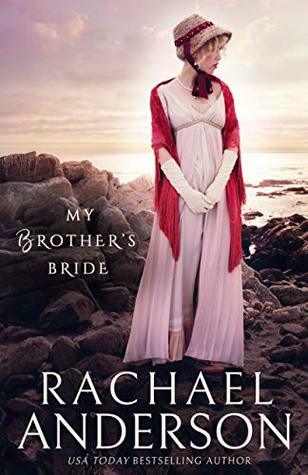 My Brother's Bride is the second book in the Serendipity series by Rachael Anderson. I haven't read the first book yet, and I really need to, because this is one of my favorite authors. However, this story stands alone just fine. There is a little mystery surrounding Abby and her husband, as you don't really know what brought this unlikely couple together. The story really pulls you in as you get to know its characters and all the things that brought them to where they are now. This was definitely a hard one to put down! 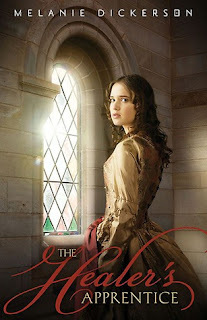 The ARC of My Brother's Bride by Rachael Anderson was kindly provided to me by I Am a Reader for review. The opinions are my own. 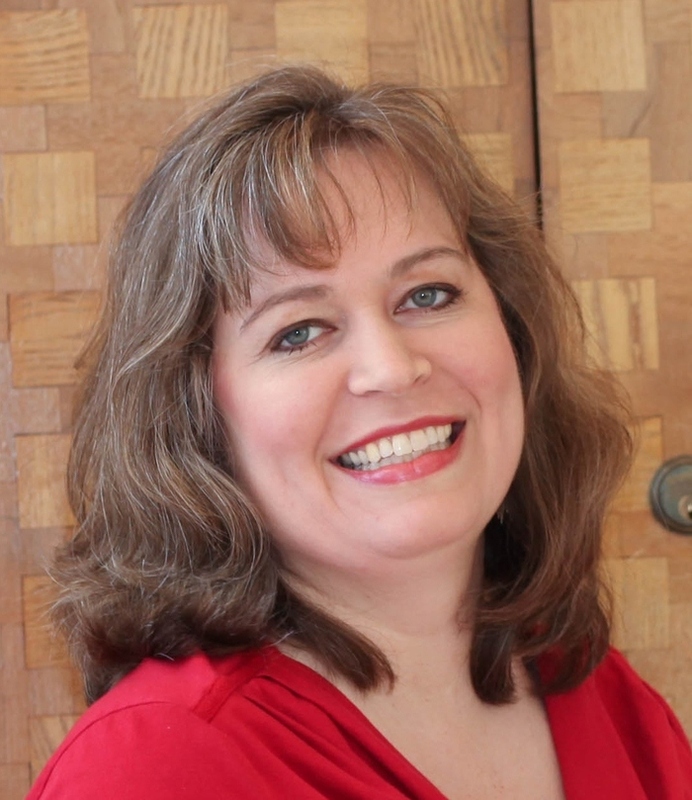 To learn more about Rachael Anderson and her books, visit her blog.You can also find her on Goodreads, Instagram, BookBub, Facebook, and Twitter.